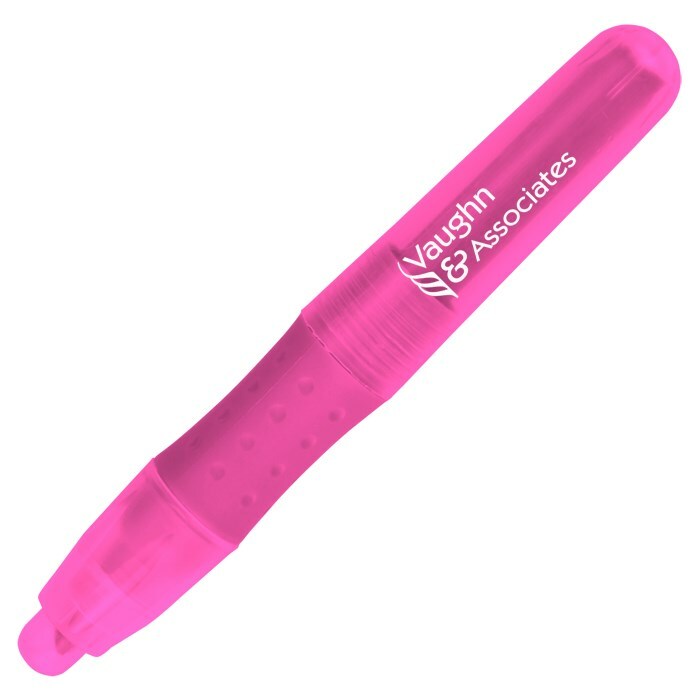 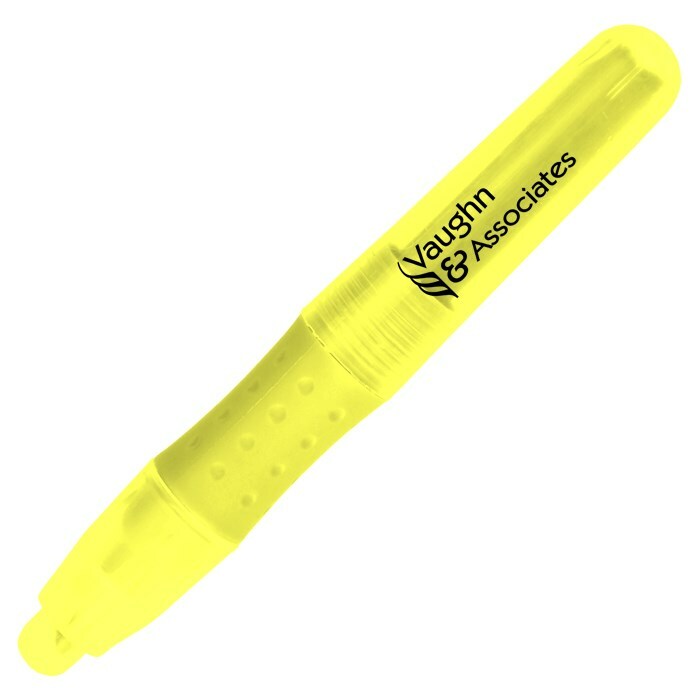 Boost your brand with this logo’d highlighter! Chunky, chisel-tip highlighter features a tapered, textured grip for a more comfortable hold. Bright, fluorescent ink offers a transparent, read-through quality. Translucent plastic cap and barrel give this marker a modern look.